Parents Day provides a wonderful opportunity for the society to honor parents. 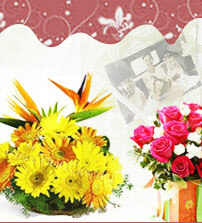 Know more about Happy Parents Day 2012. The Parents' Day is celebrated on fourth Sunday of July every year and provides a wonderful opportunity for the society to honor parents who play an influential role in the development of their children. People celebrate Parents' Day through proclamations, activities, and educational efforts in furtherance of recognizing, uplifting, and supporting the role of parents in the rearing of children. Parents always try to maintain good and effective communication with their children, so as to ensure low levels of delinquency and high levels of mental health. Parents always strive to fulfill the needs, and desires of their children. The influential role of parents is quiet evident from a latest research, according to which, children who are involved with parents in their lives attain greater levels of success, both economically and academically. Parents are, in fact, God's divine creations. They love their children unconditionally and support them to get through the thick and thin of life. Parents often put their self-gratification aside, in order to nurture their children in a loving and secure environment. It becomes imperative to dedicate at least a day to the parents, who readily dedicate their whole life for their children. That is why, since the establishment, Parents' Day is celebrated with gusto. 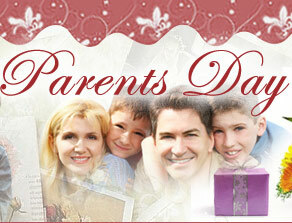 Parents Day has today become a special day for the parents, their children and the society.